Granite, Solid As A Rock. 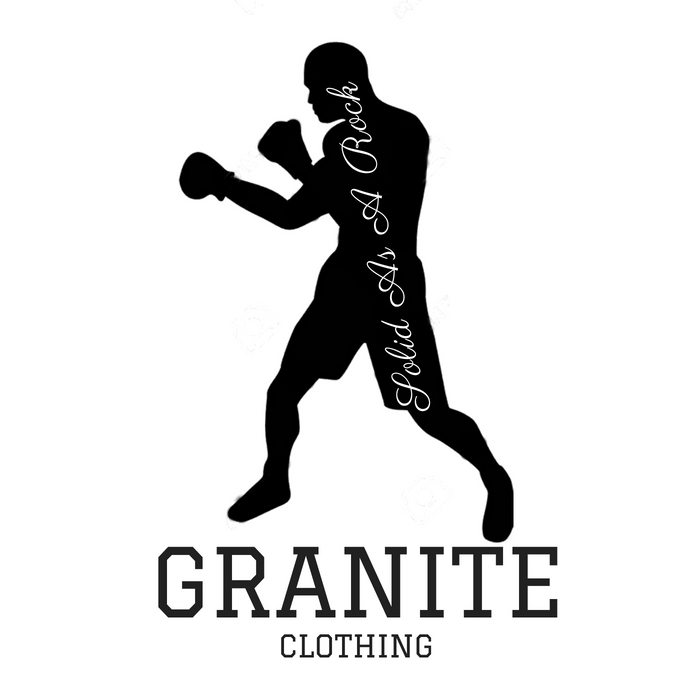 Granite is a clothing label, a business created by a 10 year old girl who has the passion for boxing and also the lord. Jayah wants to be able to help other children in a positive way, and give back to others. Granite is a type of rock which is how Jayah came up with her slogan, Solid as a rock. It represents boxing and also a holistic and spiritual view. Throughout scripture, Rocks are commonly referred to as a symbol of God's reliability. The Bible advises that we build our houses and lives upon the stable rock that is God's love. wisdom and salvation. Rocks are interlaced with the idea of refuge, a place to escape the tumultuous hardships of the earth. Also Granite is referred to overcoming strongholds and keeping the mind focused. Granite is about elevating to the next level and staying solid as a rock.